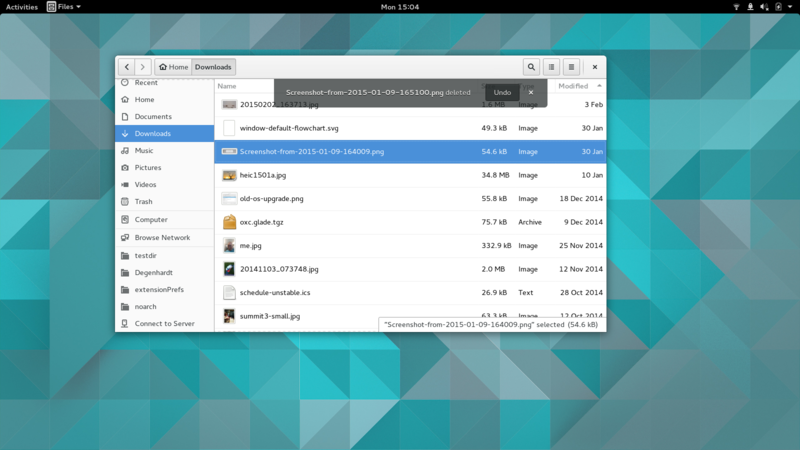 As is my habit, I’ve taken some screenshots of new things that showed up in my smoketesting of the GNOME 3.15.90 release.Since we are entering feature freeze with the .90 release, these pictures give some impression of whats in store for GNOME 3.16. 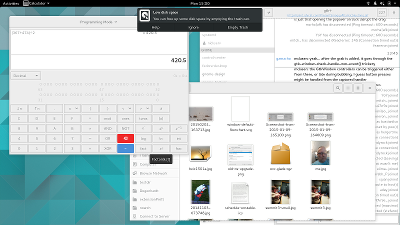 A long-anticipated redesign of notifications has landed just-in-time for 3.15.90. 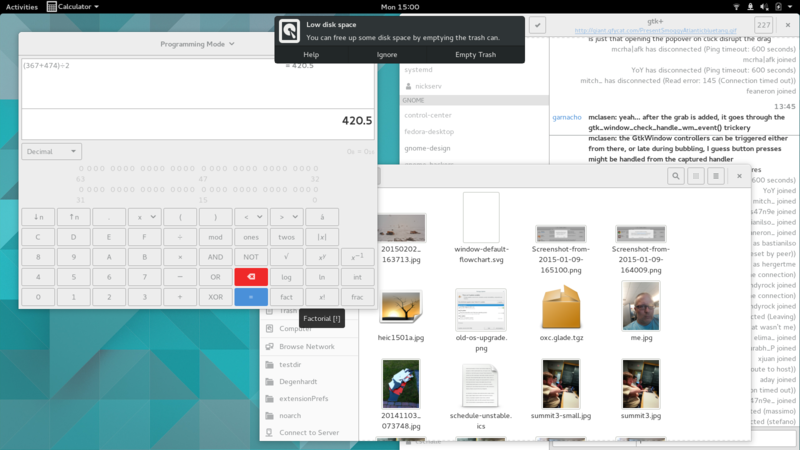 This is a major change in the user interaction. 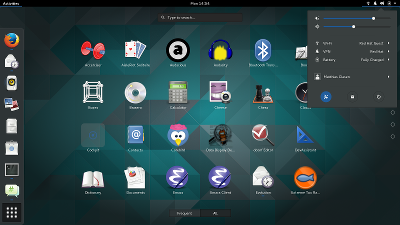 Notifications are now appearing at the top of the screen. The message tray is gone, old notifications can now be found in the calendar popup. 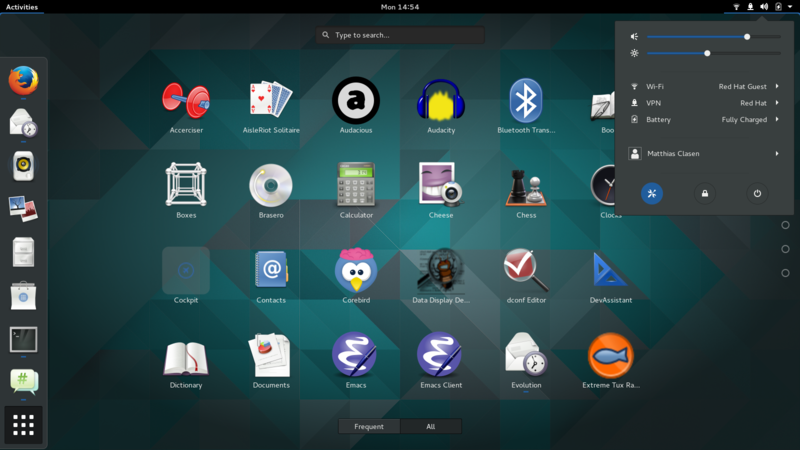 Outside of the initial setup, the same settings are also available in the control-center privacy panel. 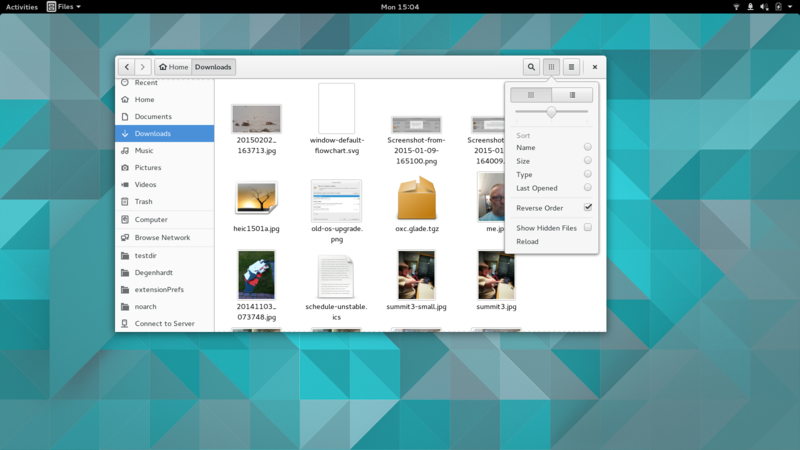 and file deletion can now be undone from a notification. 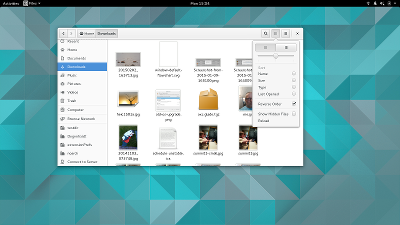 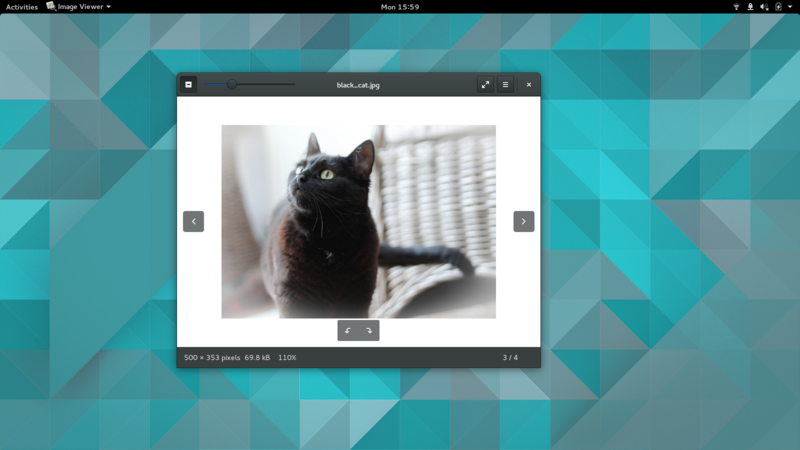 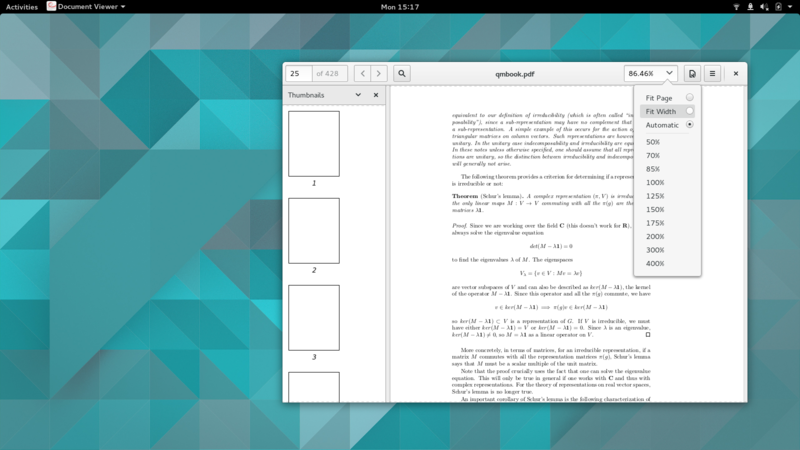 You can try GNOME 3.15.90, for example in Fedora 22 today. 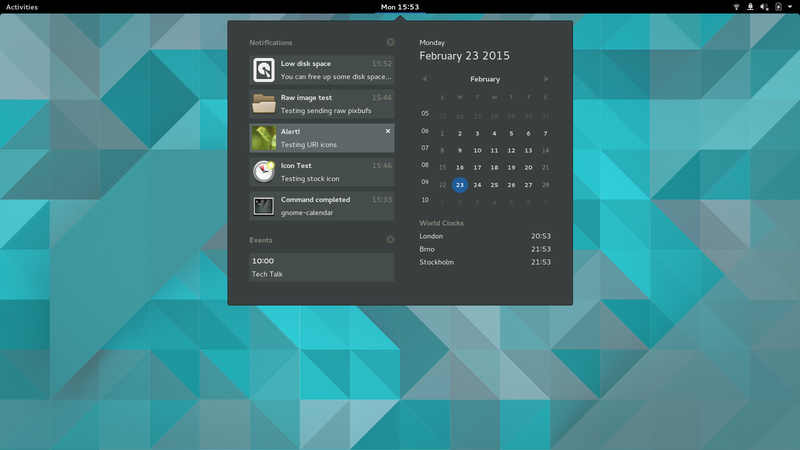 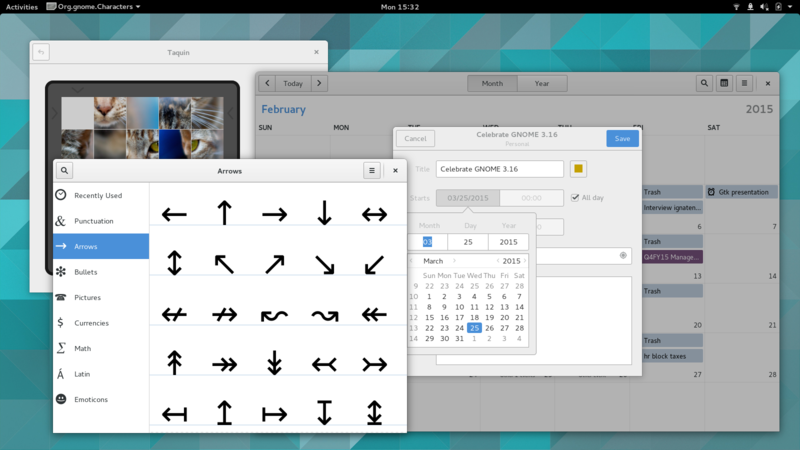 Or you can wait for GNOME 3.16, which will arrive on March 25.